Consider for a moment the two digital module types that are used to recreate real world Bible commentaries: commentaries and general books. Each have distinct advantages over the other; each have glaring weaknesses, too. First, let’s consider the “commentary.” TW’s “commentary” module format typically follows this file naming convention - “Module Name.cmt.twm”. The module name is self-explanatory. So, what’s the “.cmt.twm” for? Well, all of TW’s non-Bible modules end with “.twm” - that stands for “TheWord Module” (I know; clever!). 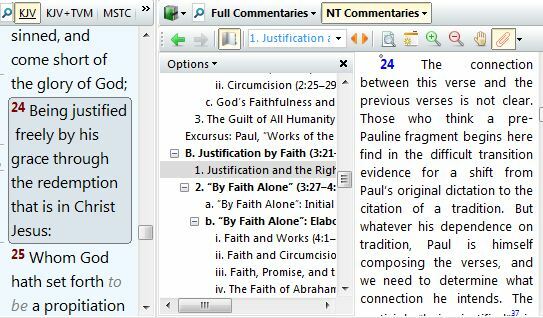 The .cmt just means that this particular module will function as you would expect any “commentary” to work: each of the individual comments in the book are linked to a verse, a range of verses, a chapter, or a Book of the Bible. So, when the commentary is open in a window that is linked to a Bible window, the commentary moves with the Bible verses. Nice, nice, indeed! So, you’ll expect commentaries and Bibles to work like the picture on the right. I think the advantages of this format are relatively easy to see (!!). But there is a drawback: a general inability to present a logical flow of information (outside of the verse-by-verse structure). Commentaries don’t just comment on specific verses; they interpret blocks of thought. Some of those blocks exist in verses and chapters, yes; but others exist in paragraphs, or in other units of thought. In the above example, you can’t see paragraphs in the commentary, because in the “.cmt.twm” format, paragraphs can’t exist. That brings us, secondly, to the “General Book” module type - a very powerful module type indeed. Like other TW modules, the file naming convention follows a relatively predictable pattern - “Module Title.gbk.twm”. In addition, many module makers also include author name, too, like this - “Last Name, First Name - Module Title.gbk.twm”. T he “.gbk” in the middle of the file name simply stands for “General Book” module. Anything that can be read as a “real world book” can be formatted digitally as a “General Book” module. But many modules have not only “volumes;” they also have “units”, too. 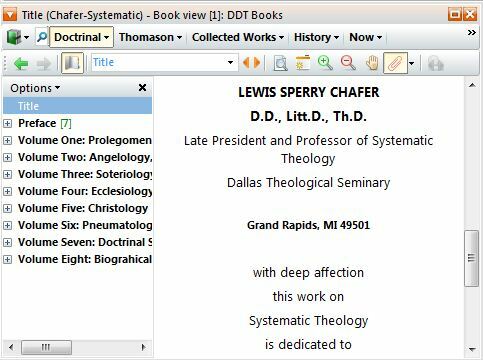 Again, using Chafer’s Systematic Theology, any one of the volumes has more than one “unit” of study. Volume One has three units (plus a “Table of Contents” for Volume 1): Prolegomena, Bibliology, and Theology Proper. But these units have individual chapters, too. 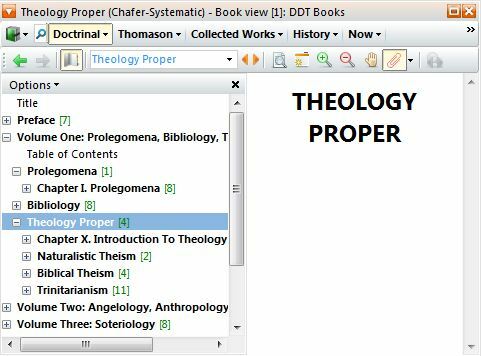 “Theology Proper” has four chapters under it. With theWord’s hierarchial topic structure, it is quite easy to see the flow of Chafer’s thought. Check out the information in the picture to see it for yourself. In smaller titles, this type of organization may seem superfluous. But in a larger module? Wow! Does it ever make a difference in helping to understand an author’s flow of thought! The downside to the general book module is that it is incapable of linking directly to a verse (or verse range). Pity. But What About Single Volume Commentaries? There are many single volume commentaries that are written not only with chapter and verse divisions, but also with unit divisions as well. A good commentary doesn’t only give you a verse-by-verse analysis; it helps you to understand how the parts fit into the whole. The best way to visualize that is with the General Book hierarchialism. But - general books aren’t linked to specific verses. Wouldn’t it be great if a module could display both a hierarchy structure while linking to specific verses? TW4 includes a beta feature: a module type Costas calls a “hybrid” module. It has the properties of a general book module (even the .gbk.twm file format) but with the ability to link to specific verses of the Bible like a commentary. So it truly is the best of both worlds! The hybrid module is still in the beta stage; that simply means that it is stable enough for the public to use, but it hasn’t yet reached it’s planned development as a proven bug-free part of the program. But I can tell you this: I’ve been using Costas’ hybrid module for nearly a year; and I’ve had zero problems with it. Zip. Zilch. Nada. An example of TW4’s hybrid module type is Douglas Moo’s Romans for the New International Commentary on the New Testament series. 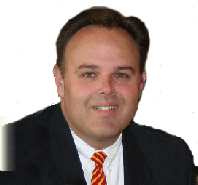 (To see my comprehensive product review, click here. To see how it flawlessly works with TW, click here.) Take a look at this picture to see how it works as both a commentary and a general book module. What you’ll see is the combination of the best elements of the commentary and general book modules. The picture shows the Bible window set to Rom 3:24, the book module linked to comments at Rom 3:24, and a beautiful hierarchial flow in the topic tree. Gorgeous implementation indeed! Bravo, Costas! There is a downside to this hybrid type of module. 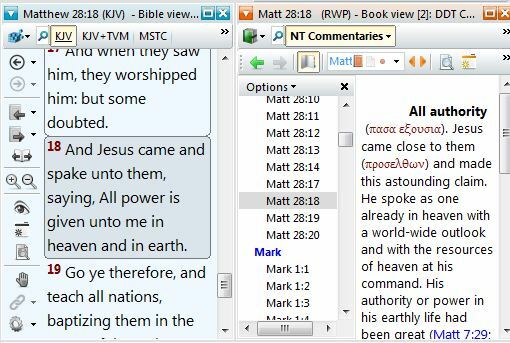 Commentaries that are built as hybrids (like the Moo Romans module from NICNT) cannot be used with the inline Bible setting. They also do not yet work with “commentary links.” And third party module builders cannot yet build them. These negatives will range from “non-existent” to “minor irritation” depending on how each user capitalizes on the advanced features offered in theWord. I can, though, tell you this: updates that will correct all three of these issues are currently being developed for an imminent software update. When completed, the hybrid module will be just about perfect. I myself have several modules already published that I will enjoy turning into hybrid modules. I’m sure over time that more and more general books will be reformatted to hybrids, making them more and more useful in the study of God’s wonderful book.